At Real Tech Auto & Truck Repair we don’t just fix cars, we look after our customers to keep them safe by making sure their vehicles are repaired efficiently and correctly. 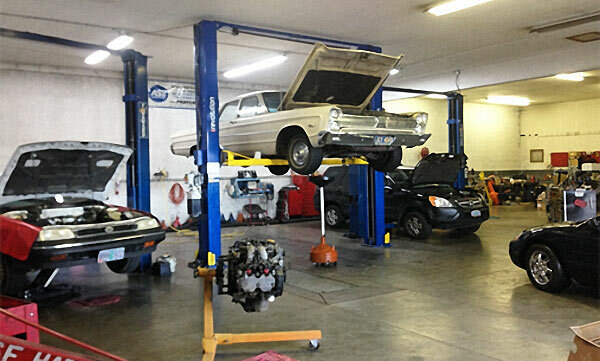 The characteristics that set us apart from other auto repair shops are our attention to detail, integrity, dependability and the level of communication we maintain with our valued customers. For over a decade we’ve been Salem’s best choice for auto repair and we plan on keeping that trend going for years to come! Keeping up with your car’s maintenance schedule is the best way to avoid problems down (and on!) the road. Fluid flushes, wheel alignments, electrical system troubleshooting, etc. – Real Tech can work with you to develop a customized maintenance plan for your vehicle to ensure that it’s running at an optimal level all year long! Whatever type of fuel your vehicle’s engine runs on, we’ve got you covered! Our ASE-certified technicians have several state-of-the-art computer systems at their disposal to provide a thorough and dynamic diagnosis of your vehicle that will detect any/all problems your car might have so we can determine the best course of action to remedy the issue in a timely and efficient manner. Brake system maintenance is imperative to your vehicle’s safety. Whether your vehicle needs new brake pads, a hydraulic flush or rotor repairs, we have the technical proficiency and mechanical know-how to get your system fixed with the utmost care and get you back safely on the road as soon as possible! 5 star operation for me!!! he does not lie and tells you like it is & is one of the best if not THE BEST auto repair shop I have ever had the please of doing business with THANK YOU! Fast and honest. Cleanest shop I've ever seen. A place you can trust to have your car repaired. Doug and Jim went above and beyond to get my bus back to me so I didn't miss any time/days of work. Myself and my business couldn't be more thankful for their wonderful customer service, friendliness, and timeliness in this. From start to finish, they were great! I have been using Doug at Real Tech for all my car repairs for years. He always gets me taken care of in a timely manner at a reasonable price. He is knowledgable, professional and always willing to work with me to get the job done properly.